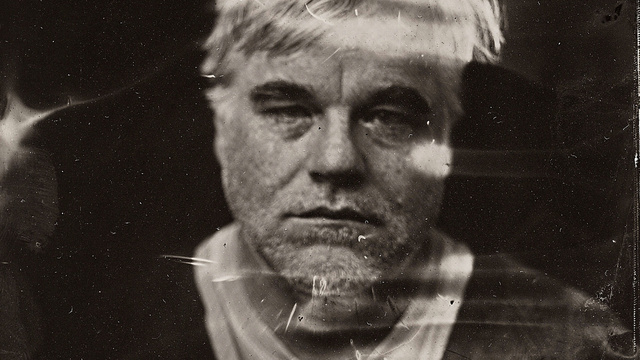 A tintype of Philip Seymour Hoffman taken at this year’s Sundance. Philip Seymour Hoffman was found dead of an apparent drug overdose last Sunday. After having been clean for many years, Hoffman relapsed in 2012 and entered residential rehab in June of 2013. Despite this effort his struggles with addiction continued and ultimately took his life. Having spent time in 12 Step rooms and therapy dealing with my own issues with addiction and I cannot help but reflect on this incident and what it reminds us about addiction. Addiction Doesn’t Care Who You Are: Hoffman was one of many wealthy successful people who nevertheless struggled with addiction. Addiction doesn’t if your collar is blue or white. Addiction doesn’t care what color your skin is. Addiction doesn’t care how old you are. Addiction impacts individuals and families in all segments of our society. Addiction Is Never Really Vanquished: Hoffman had been clean for over two decades before relapsing. While some do not subscribe to the saying, “Once an addict, always an addict,” it appears that even for those that have achieved many years of sobriety, falling back into the vicious cycle of addiction is always within arms reach. Relapse is a risk no recovered or recovering addict is completely immune to. Addiction Can Be Lethal: Hoffman’s death was not a suicide or an accident; Hoffman succumbed to a mental health problem that is sometimes lethal. Everyone gets that cancer or a heart attack can kill you, but many people do not consider mental health illnesses in the same way. A number of mental health problems have shockingly low survival rates. For example, roughly 33% of people who struggle with anorexia will die from it, while only 5-10% of people admitted to a hospital for a heart attack die. Addiction Is Misunderstood: Some people’s reactions to Hoffman’s death expose that mental health is still misunderstood in our society and still carries a stigma. Some suggested Hoffman deserved his death because he was a drug user. Others labeled him as selfish for putting his pleasure above his safety and leaving his wife and children without a spouse or father. These responses show mental illness is still understood by some as a moral defect or weakness rather than an illness. Because of this, instead of treatment and encouragement, those suffering from mental illness are met with condemnation and judgement instead. Can you imagine anyone suggesting that someone who passed from cancer was selfish for abandoning their family? Addiction Sometimes Wins: Addictions is not a weak opponent. Addiction is not “just a bad habit” that can be overcome with discipline and a positive attitude. I’ve seen it consume entire families. I’ve seen the trauma it leaves in its wake stretch across generations. Even with support, therapy and treatment, sometimes addiction gets the better of people. Hoffman’s death reminds us that sometimes when you fight your demons, you lose. However, that doesn’t make the struggle any less noble. This entry was posted in Personal Commentary, Uncategorized and tagged Addiction, Mental Health, Mental Illness, Philip Seymour Hoffman. Bookmark the permalink.